GABRIELLE DUCOMBLE goes further into her desire to make music that means something with her third album, Across The Bridge, which she launches at Pizza Express Jazz Club, Holborn, on Sunday 23 September before taking it on tour. She spoke to Rob Adams. The album is the Belgian-born singer’s first collection of all original compositions following two albums of Parisian-style jazz and tango – J’ai Deux Amours, from 2011, and Notes From Paris, released in 2014 – and is another step further away from the pop music that gave her her first success. Having happily entered and finished in the final of the French version of Pop Idol, Ducomble began to see the shallowness of the programme and what it represented. “I was naïve, I realize now, but I’m glad I had that experience because it pointed me in the direction of making music that is all about the music and not about all the other things on the periphery,” she says. One of the people who influenced her change of direction was Dee Dee Bridgewater, whom Ducomble heard and met in Lyon. 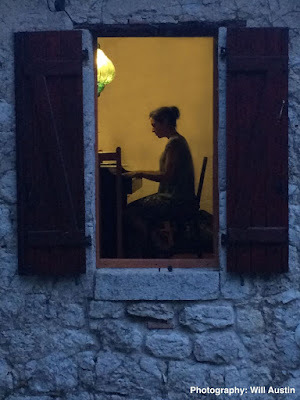 Bridgewater’s whole approach – singing every song with depth, paying attention to every detail in business as well as the music – made a big impression and after finishing the masters degree in economics she was studying for, Ducomble moved to London to improve her English and immerse herself in the jazz scene. She enrolled at Goldsmith’s College, where she added being able to write her own charts to the piano skills she had picked up from her mother, a piano teacher. She then studied arranging and composition at the Guildhall where she met Nick Kacal, the double bass player in her touring band, which also features guitarist Nicolas Meier and violinist Richard Jones. 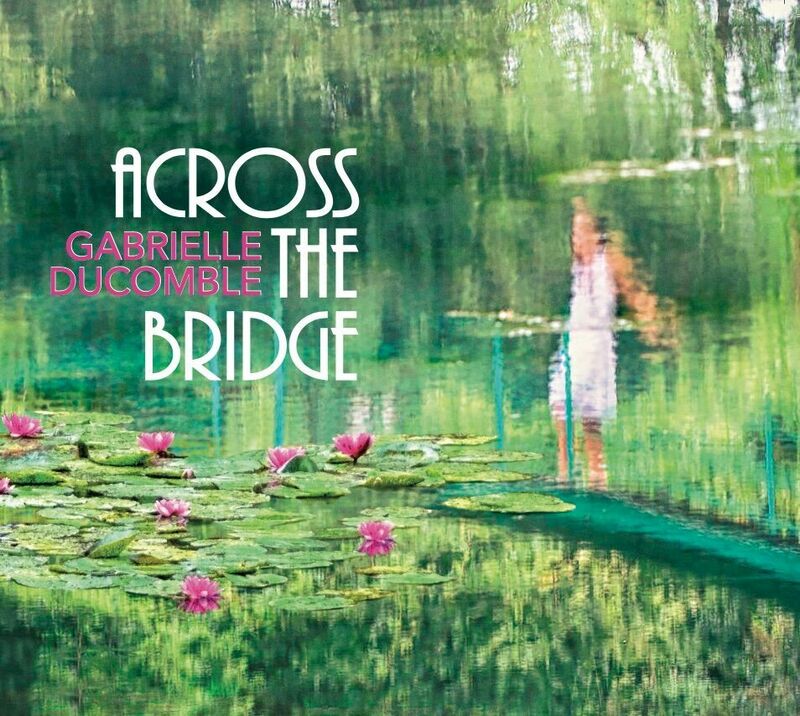 The songs from Across the Bridge reflect on themes including nature, social justice, ideology and art (the cover artwork features Claude Monet’s painting Japanese Bridge) and mark the end of a period when Ducomble was living a transient lifestyle. 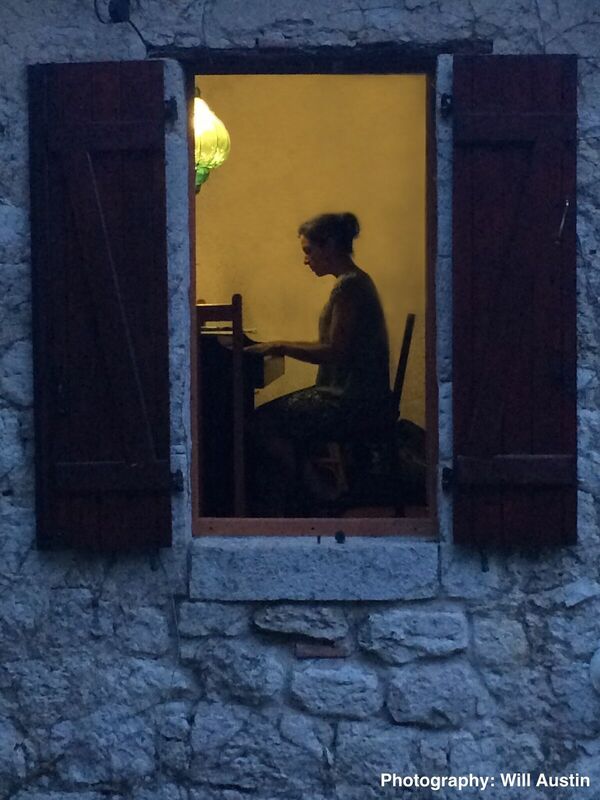 Ducomble writes mostly at the piano, although she comes up with ideas on the move and saves them until she gets to the nearest keyboard, and melodies always come first. Her own lyrics might begin in French then develop into an English song, or vice versa, a result of her listening to English and American pop music in her teens before becoming interested in French pop and then the chansons associated with singers including Edith Piaf and Claude Nougaro. On Time is Now, she is urging people to act and make a difference with regard to pollution and while she’s passionate about making the world a better place – “We could sort out the global problem with plastic and make sure everybody had some place to live if we really wanted to,” she says – she doesn’t want to come over as preaching.